To help young learners talk about jobs and places of work. 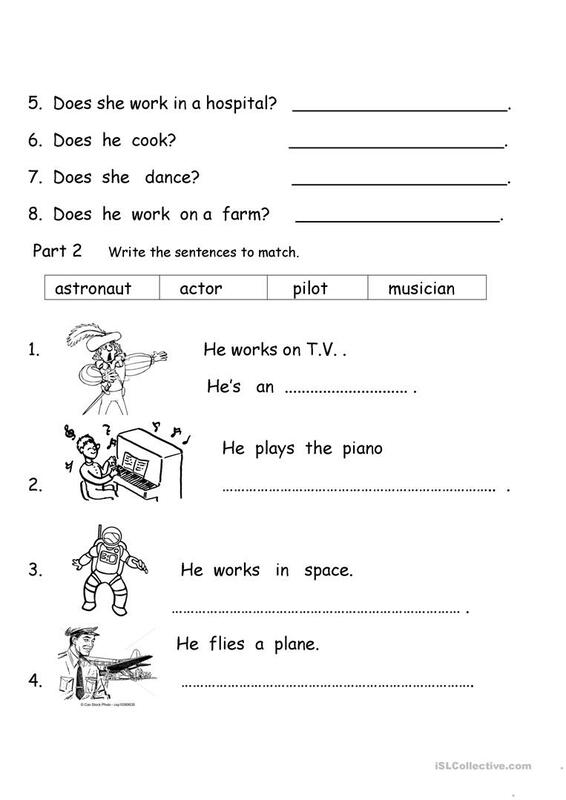 The above downloadable worksheet is best suited for elementary school students and kindergartners and nursery school students at Beginner (pre-A1) and Elementary (A1) level. It is aimed at practising Verbs: Action verbs in English, and was designed for developing your pupils' Speaking, Reading and Writing skills. 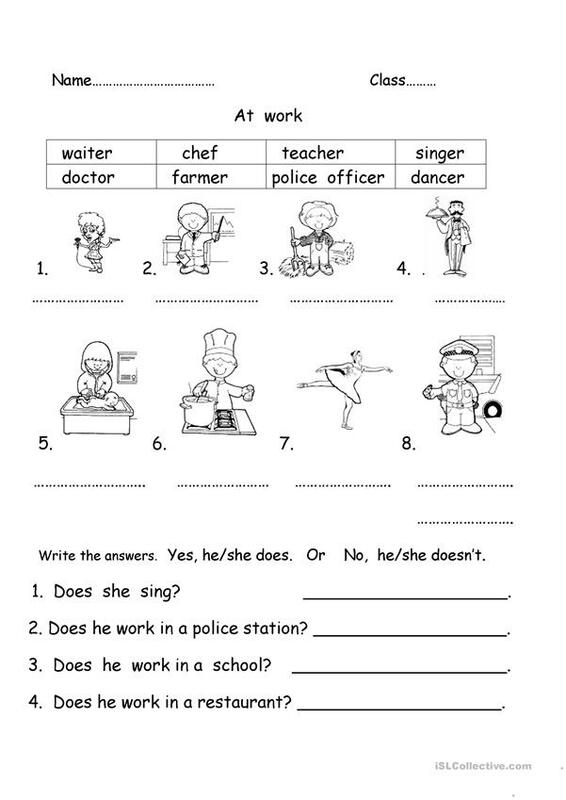 It is focused on the vocabulary topic of Jobs, work.